Everyone is excited about the new React Hooks API. So am I. 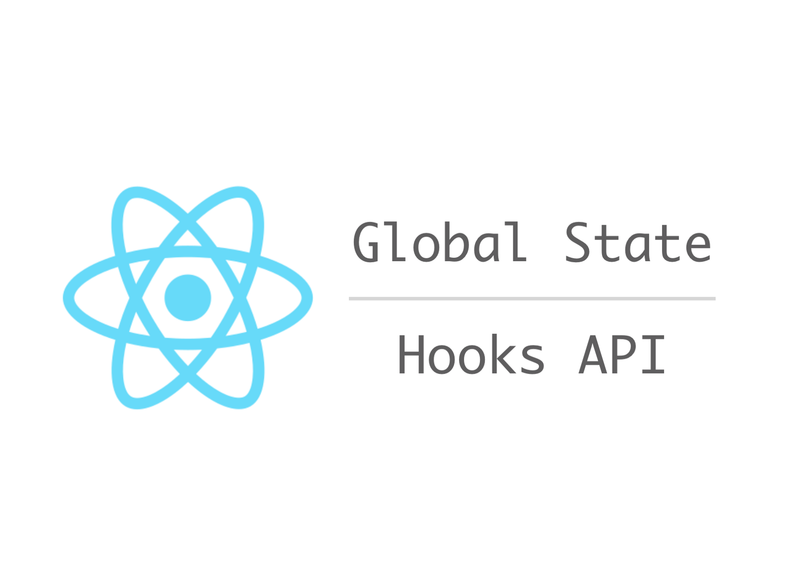 Having been thinking how to manage global state, the Hooks API seems promising. By the way, I like Redux a lot, but I don’t like react-redux a.k.a connect very much. It is too complicated for beginners to use it properly. For example, reselect / memoization is a hard concept to explain. My recommendation is to structure a global state so that mapStateToProps only needs to select a part of the state without any logic. If you are really free to structure a global state, you can make it so that it selects direct properties of the state, which means “one-depth”. With that in mind, I’ve been developing a library for managing global state. This state consists of 4 items (name, age, hobbies and scores). Each item has a value, which can be not only a primitive value but also an array or an object. You can connect to each item to get notified when a value is updated, but not a deep value in the object tree. This library recently supports a reducer for updating states. So, you might expect it as a replacement for Redux for React. Maybe, maybe not. You will see it by yourselves. You define a global state and export some methods like the following. Don’t be bothered by the Action type if you are not familiar with TypeScript. The first argument of createGlobalState is a reducer, which should look familiar if you have ever used Redux. A required initial global state is passed to the second argument. You could use combineReducers if you like. Notice the result of createGlobalStateis exported. You need to wrap your top-level component with GlobalStateProvider to attach a context that holds a global state. The following is how to use the counter in a component. This should be easy enough. The dispatch and useGlobalState is imported from the previous file. Two callbacks are defined and use dispatch. You might be wondering why we have dispatch somewhat globally. It certainly reduces the code isolation, but this allows defining actions outside of components. Please correct me if I misunderstand something. We could also provide dispatch in another context and something like useDispatch. Then, open http://localhost:8080 in the browser. React Hooks API is not yet released and this library is still an experiment at this point. Feedbacks are welcomed to improve the library. I wonder many people are trying the similar thing and I want to get ideas if possible. [2018–11–08]: Follow the library API change and make the example more intuitive. [2018–11–12]: The library API is changed again based on the Context API.